Longaberger has a magazine called Signatures, that is exclusively made for their Collectors Club members. 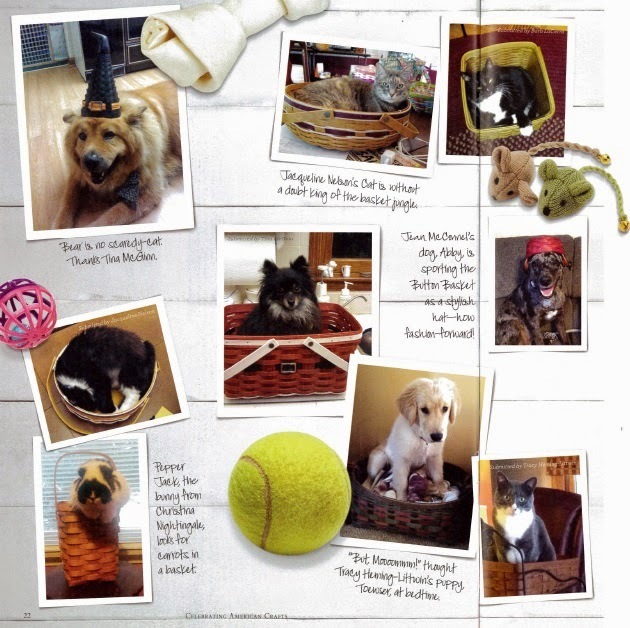 In the fall of 2014, I organized this collection of Home Consultant’s pet pictures to be in the Fall Winter issue. 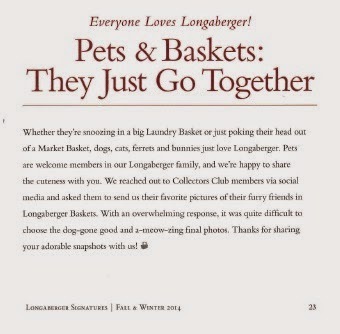 First, I asked Home Consultants on social media to send photographs of their pets in Longaberger baskets. I was overwhelmed by the response. Sometimes I had to ask them to send me higher quality photographs to ensure the pictures looked good printed. I wrote captions for the photos (using their name and pet’s name) and a paragraph explaining the pictures. Using old Signatures as inspiration, I suggested to the graphic designer that pet toys be incorporated into the layout. Together, we laid out the pages. I’m happy with how it turned out and it was such great experience learning how magazine information can be gathered and laid out. 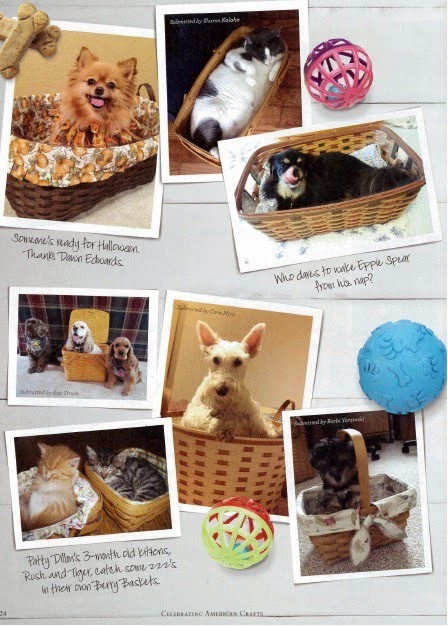 I asked Home Consultants to submit pictures of their pets in baskets, organized the responses, sent thank you e-mails, wrote captions and helped plan the page layout for this page. I wrote this short paragraph that accompanied the pet pictures. From page 24 of Fall Winter Signatures.